Dr. A.V. 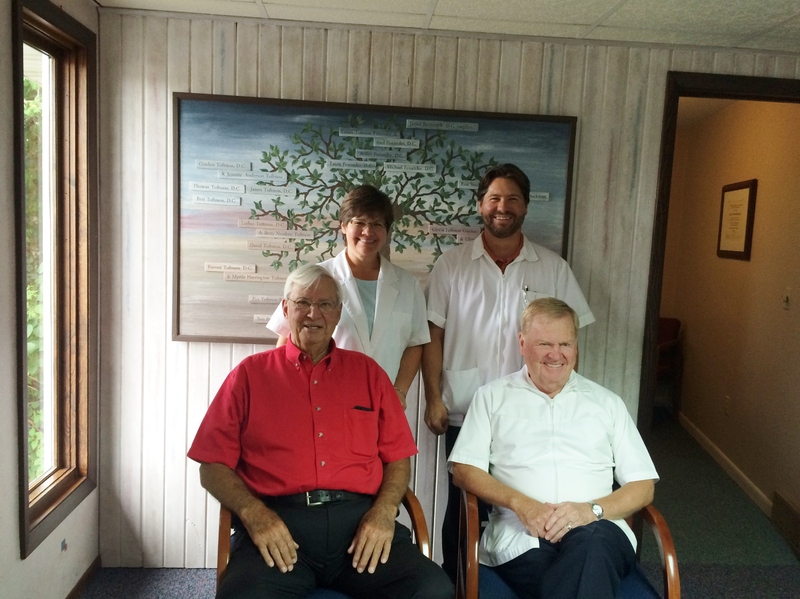 Fenander is seated with his uncle Dr. Bill Toftness, and his children Dr. Laura Fenander and Dr. Michael Fenander under the family tree which displays the names of all 20 chiropractors in their family. Fenander Chiropractic and Wellness is a family chiropractic office rich in tradition. Dr. A.V. Fenander opened the office in 1978. Dr. Mary Ladick joined the practice in 1981. In 1990, Dr. Laura Fenander joined the practice and in 2001, Dr. Mike Fenander. Dr. A.V. Fenander's father was also a chiropractor. In addition, he has 7 uncles, 1 aunt, 6 cousins, and 2 great nephews that are chiropractors. Belonging to a family of 20 chiropractors demonstrates the strong beliefs that are not just a philosophy, but a way of life for the Fenander family. We believe that the body has an innate intelligence to maintain and regain one's own health. The chiropractic adjustment allows the body's healing ability to express itself. We believe that health is optimum mental, physical and social well-being, not merely the absence of disease.